Born in Lake Orion, Michigan and a 2004 graduate of Lake Orion High School, Staff Sergeant Blaylock enlisted in the Marine Corps through the Delayed Entry Program and completed Basic Training in February 2006. SSgt. Blaylock was a member of his high school’s Varsity Swim team during his four years at Lake Orion High School. SSgt. Blaylock attended Marine Combat Training at Camp Geiger, followed by Basic Light Armored Vehicle Repairman’s School at Aberdeen Proving Grounds, MD, where he was the Honor Graduate. His first duty station was with 1st Light Armored Reconnaissance Battalion, Camp Pendleton, where he served as a mechanic. SSgt. Blaylock underwent advanced training and was re-assigned as Charlie Company Ramp Chief, later receiving orders to Light Armored Vehicle Training Company, School of Infantry-West, where he was assigned as Red Team Platoon Sergeant. SSgt. Blaylock joined MARSOC in August 2010, attended ITC, and upon graduation in May 2012 was given orders to 2nd Marine Special Operations Battalion, Camp Lejeune, NC. SSgt. Blaylock deployed in support of both Operations Iraqi Freedom and Enduring Freedom. SSgt. 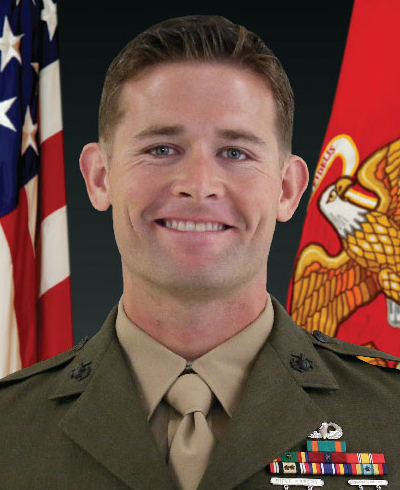 Blaylock’s personal decorations include Navy-Marine Corps Commendation Medal with combat V, Navy-Marine Corps Achievement Medal and Combat Action ribbon.